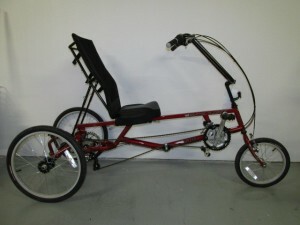 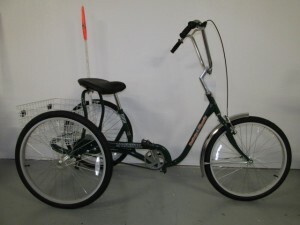 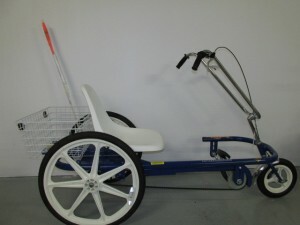 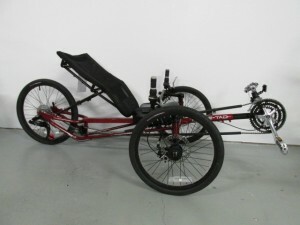 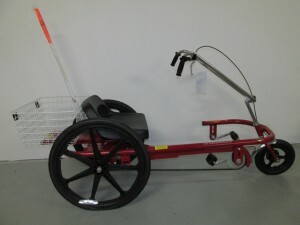 Adult trikes and three wheel recumbent trikes are more popular than ever before. 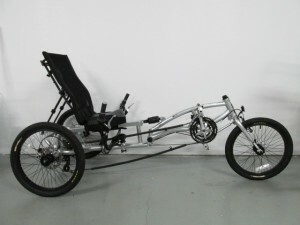 All have a wider, more comfortable seat – no small seats like department store seats, a lower step through, or are able to walk right into the frame without stepping over Trikes steer like a car, no balancing necessary. 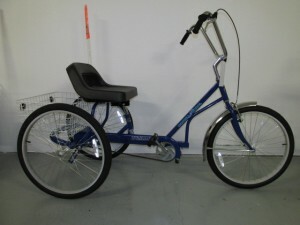 Steel frame – green, blue, red, pink, black, white. 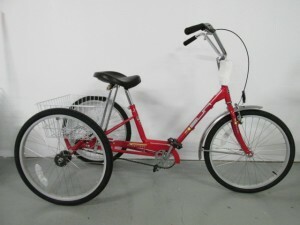 Steel frame – red, blue.